Nature photography doesn’t come much purer. 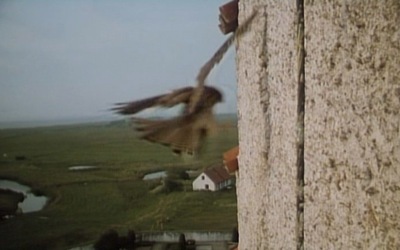 Filmed over several years from and in a church tower in Norway, this unadorned film of hawk life, from birth to death, is seen from the birds’ eye view, with no human narration. Extreme filmmaking, extreme birdness.